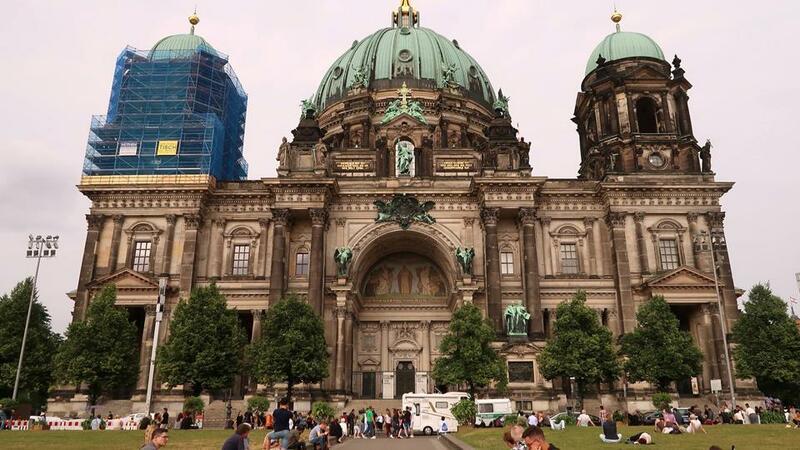 A 53-year-old Austrian man yelled and waved a knife inside the Berlin cathedral in Germany. The Berlin police shot and wounded him. The German news agency quoted police as saying the man appeared to be confused. The man entered the Berliner Dom and waved a knife in the area of the altar. Cathedral workers called police and safely led about 100 visitors out of the Church. Two officers responded and asked the suspect to put down the knife but he would not listen. The officers used a chemical spray but this had no effect. One of the officers then opened fire, wounding the man. The second officer also was accidently wounded by the shot fired by his colleague. The suspect and the police officer were taken to a hospital. A Sunday evening prayer service at the church was canceled.